Who are they and what policy context do they face? ECDPM Europe now has a new diplomatic institution, the European External Action Service (EEAS). But who are the recently appointed senior officials that will deal with Africa within the service? And what challenges will they face in EU policy towards Africa? One of the changes brought about by the EU Treaty of Lisbon is creation of the position of High Representative of the Union for Foreign Affairs and Security Policy who is also Vice-President of the European Commission. This High Representative position, to which Baroness Catherine Ashton was appointed in November 2009, is assisted by the EEAS, which includes the newly empowered EU Delegations. Before the new Treaty entered into force, EU relations with sub-Saharan Africa and other members of the African, Caribbean and Pacific (ACP) group of states were dealt with by a another EU institutional entity. This has now changed with the creation of the EEAS, which has geographical departments and desks covering all countries and regions of the world. The newly established EEAS Africa entity, whose final designation has not yet been decided, will from now on be responsible for strategic leadership of EU relations with Africa. The EEAS will also be responsible for (1) allocation of funding, (2) development of multi-annual country and regional strategies and (3) development of national and regional indicative programmes. At the same time, some responsibilities will be retained within the European Commission in the EuropeAid Development and Cooperation DG (DEVCO), which was formed from the merging of the Commission’s former Directorate General for Development and EuropeAid. The newly restyled DG DEVCO is in charge of preparing thematic programmes and for policy development and implementation in the development sphere. In short, the division of responsibilities between the EEAS and the European Commission will split the aid programming cycle, but at the same time it will end the institutional geographical divide between EU relations with the ACP countries and those with the rest of the world. All of this will be managed by EU officials acting under political direction.Europafrica introduces the nine new senior appointees dealing with sub-Saharan Africa in the EEAS. Nicholas Westcott was appointed the EEAS Managing Director for Africa and thus heads the service’s Africa entity. Westcott is Picture Nick Westcott EEAS Head the most senior EU official for Africa. This British official joined the EU institutions this year. He has served as the British High Commissioner to Ghana and as non-resident Ambassador to the Ivory Coast, Burkina Faso, Niger and Togo. Prior to that, he was Minister Counsellor of the British Embassy in Washington, DC, Head of the Economic Relations Department of the British Foreign & Commonwealth Office (FCO) and member of the UK Representation to the European Union in Brussels. 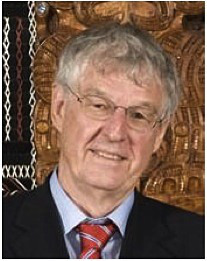 Westcott has also served as British Deputy High Commissioner in Dar es Salaam, Tanzania, where 15 years earlier he gained experience as a research associate at the University of Dar es Salaam. In the mid-1980s he was seconded for a year to the European Commission as a national expert. He holds a PhD in African studies from the University of Cambridge, speaks Swahili and French and is a father of two. 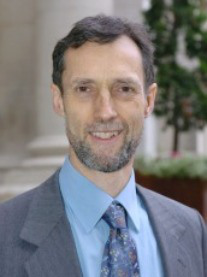 Roger Moore is Director of the EEAS department responsible for political relations between the European Union and the countries of Eastern Africa, the Horn of Africa and Southern Africa. 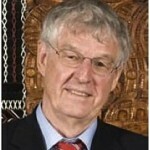 Originally from Britain he has been with the EU institutions since 1977. From 2006 to 2010 he held a post similar to his current position at the European Commission’s former DG Development. From 1998, he was Division Chief for the Commission’s relations with Southern Africa, East Africa and the Horn of Africa. Before that, Moore headed the division responsible for financial management of the more than €20 billion European Development Fund. Prior to these management posts, he held various positions at the Commission, such as collaborating on the creation of the macro-economic and budget support divisions. Moore studied civil engineering at the University of Manchester Institute for Science and Technology. He began his career working on various design and construction projects in Zambia, the Democratic Republic of Congo and the United Kingdom. 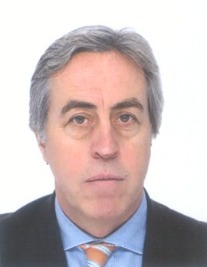 Manuel Lopez Blanco is Director of the EEAS department for West and Central Africa. 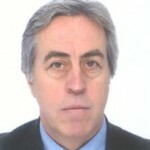 Lopez Blanco is Spanish, and joined the EU institutions in 1986. Since 2008, he has had responsibilities similar to those of his current post at the Commission’s DG Development. Also within DG Development, he served as Acting Director and Head of Unit for the regions of West Africa and the Southern Mediterranean and on topics such as trade policy, development policy and humanitarian aid. He was Head of Delegation for Senegal, Gambia and Cap Vert in Dakar and Head of Delegation for Mexico and Cuba in Mexico. Lopez Blanco holds a PhD in agricultural and development economics from Michigan State University. Jeremy Lester is Head of the EEAS division responsible for the Horn of Africa, East Africa and the Indian Ocean. This British official joined the EU institutions in 1976. Since 2007, he has held similar responsibilities at the European Commission’s DG Development. Prior to that, he was Head of Delegation in Rwanda and Niger. He also worked in Lesotho, Madagascar, Mozambique, Angola, Uganda, Mauritius and Congo, as well as in several countries of the former Soviet Union for the European Commission. His work in human rights and democratisation and with countries in or emerging from conflict has centred on the topic of societal change. Lester is particularly interested in peacebuilding, restorative justice and refugee and diaspora issues. He holds a degree in philosophy and economics from the University of Cambridge and another in development economics and administration from Norwich University. He is a member of the Society of Friends (Quakers) and has three daughters. Filiberto Ceriani Sebregondi is Head of the EEAS division responsible for relations with the countries and region of West Africa. 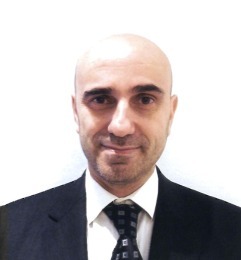 An Italian, Ceriani Sebregondi has been with t he EU institutions since 1993. From 2009, he held respon sibilities similar to tho se of his current post at the Commission’s DG Development. Earlier, he was Head of Delegation in Ghana with regional responsibility for the Delegation in Togo, manager of the EuropeAid General Coordination and Devolution Unit, and management assistant at EuropeAid. Within DG Development’s Evaluation Unit, he held various posts related to evaluation of European aid to ACP countries. As part of the Economic Cooperation and Bretton Woods Institutions Unit, he dealt with budget support to ACP countries. As manager of a consulting firm in Italy he conducted work for a range of international public and private bodies, including the World Bank and the United Nations. Ceriani Sebregondi holds a degree from Portici University in agro-economics and from Sorbonne University in development economics. He speaks English, French and Spanish and is a father of four. Claudia Wiedey is Head of the EEAS division responsible for relations with the countries and region of Southern Africa. Wiedey, a German, joined the EU institutions in 1993. Since 2009, she has carried out responsibilities similar to her current position in the European Commission’s former Directorate General for Relations with ACP States. Prior to that, she was Head of Delegation in the Republic of Mauritius, the Islamic Union of Comoros and the Republic of Seychelles. As Head of Delegation in the Republic of Botswana and SADC, she provided macroeconomic analysis and support to the DG for Relations with ACP States. She was also part of the European Commission’s negotiation team for the Highly Indebted Poor Countries (HIPC) Initiative. Wiedey was in charge of relations with Ethiopia as international relations officer and prior to that was economic adviser for the EU Delegation in Ethiopia. In Germany, she worked as a scientific adviser for a joint working group of the German Federal Ministry for Economic Cooperation and Development and the Ministry of Agricultural and Forestry. As a freelance consultant, she was active in Western and Southern Africa. She was a researcher and scientific assistant at the University of Bonn, where she earned her PhD in agricultural economics and development policy. Elisabeth Tison is Head of the EEAS division responsible for relations with the countries and region of Central Africa and the Great Lakes. Tison is French and has worked in the EU institutions since 1985. From 2004 up to last year she held a post similar to her current position at the European Commission’s DG Development. Prior to that, she was political advisor to the EU Delegation to the United Nations in New York, and served in various capacities at DG Development and its predecessor DG VIII, including as Head of Unit Relations with ACP countries, Assistant to the Director General on political and developmental issues, and Administrator for the food programme, especially for the Horn of Africa and the Sahel and for the Central African Republic desk. Tison also worked for the Directorate General for Agriculture. She holds degrees in economics and finance from Sorbonne University and a diplôme from the Institut d’Etudes Politiques (Sciences Pô) in Paris. José Costa Pereira is Head of the pan-Africa division of the EEAS. Pereira is Portuguese and began his career in the EU institutions as Head of the Africa Unit of the European Union Council Secretariat and Head of the Task Force Africa Policy Unit of the High Representative. Prior to that he served in various capacities in the Portuguese government and in the private sector. He was Deputy Head of Mission and Head of the Political Section for the Embassy of Portugal in Washington, DC, Deputy Head of Mission for the Portuguese Embassy in Tokyo and Portuguese Consulate General in Sydney. He has held various posts at the Portuguese Ministry of Foreign Affairs, such as Director for European Bilateral Affairs, Director of Defence and Security Organisations, Director of Human Rights, Desk Officer for Western European Countries and Bilateral Cultural Agreements. Costa Pereira also served as Diplomatic Adviser to the Minister of Home Affairs and Head of Department at the Portuguese Military and Defence Intelligence Services. He has worked as deputy editor, author and producer of television programs and documentary films, and has been a visiting lecturer on human rights for students of the European courses on human rights and democracy at the University of Coimbra, Portugal. Costa Pereira holds a degree in history from the University of Lisbon and speaks English, French, Italian and Spanish. Fiona Lunny is the first permanent chairperson of the Africa Working Party of the Council of the European Union (COAFR). COAFR is responsible for monitoring and analysing developments in sub-Saharan Africa and preparing Africa-related issues for EU policy discussions that involve EU institutions and EU member states. An Irish diplomat, Lunny joined the EEAS in 2011. Prior to her appointment, she was the Permanent Representative of Ireland to the European Union and the Irish delegate to COAFR and the Council Working Group on Development Policy (CODEV). 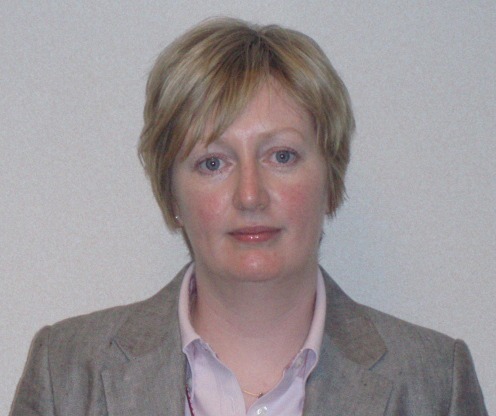 She joined the Irish Department of Foreign Affairs in 1999 and has held positions in its Political, EU and Corporate Services Division. She worked at the Embassy of Ireland in Belgium as well. 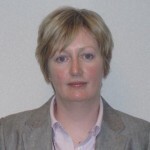 During the Irish EU Presidency, she served as the Common Foreign and Security Policy (CFSP) coordinator in the Political and Security Committee (PSC) delegation. After the Irish Presidency, she was seconded to the Policy Planning and Early Warning Unit of the Council Secretariat and then to the Austrian Ministry of Foreign Affairs. Lunny graduated from the University of Ulster and Edinburgh. Most of these nine senior level officials (six men and three women) share some common characteristics. Eight come from countries with an African colonial legacy. All are nationals of an ‘old’ EU member state – either a founding state or a state that joined the European Union before the end of the Cold War. Three are British nationals. All have strong academic credentials, most of which are in a development-related subject. Four earned their academic degrees in the United Kingdom, while three graduated from institutions in France. Most graduated in the early 1980s. Six of them have lived and worked on the African continent, with a sum of expertise that represents significant experience on the ground in all African regions. Six of the new appointees worked in almost identical roles for the European Commission’s DG Development before joining the EEAS, while three are former diplomats of EU member states. All have prior experience working with EU institutions. The composition of nationalities is perhaps not surprising. Firstly, most European Commission DG Development senior officials were drawn from the pre-1995 EU member states. Secondly, in lobbying for senior positions in the EEAS, EU member states chose to focus on appointments of clear national strategic interest to them. The new European Treaty establishes the position of the High Representative and the EEAS as its supporting institution with a mandate to both coordinate all areas of EU external relations and to ensure consistency among the EU’s multiple external policies and instruments. This remit has a familiar ring: the Joint Africa-EU Strategy (JAES) is also intended to enhance the coherence and effectiveness of existing approaches to ensure human development. EEAS Africa would likely agree that the key issues identified by the JAES in its eight thematic partnerships are as relevant to EU-Africa relations today as they were in 2007. Certainly these topics will continue to dominate continent-to-continent relations. One of the most pressing questions therefore is whether the EEAS’ Africa strategy will be primarily driven by the principles, goals and issues outlined in the JAES and the legal framework of the Cotonou Partnership Agreement or whether other considerations will prevail. Without a doubt the rapidly changing environment in North Africa will strengthen calls for a process of fundamental revision of EU policy in that part of the world. The new institutional set-up reserves for Africa a place of renewed importance within EU foreign relations. However, the commitment in the JAES to treat Africa as one might be undermined by the fact that a second entity has been established within the EEAS dealing with North African countries (North Africa, the Middle East, the Arabian Peninsula, Iran and Iraq). This reflects the different frameworks that exist for EU relations with Africa and could prove counterproductive. Beyond this, other wider questions also remain. For example, it is safe to assume that North African countries like Egypt, Libya and Tunisia – some of which were the African countries most engaged in the JAES — will have other concerns on their minds in the coming months. In a similar vein, the fact that trade remains outside the EEAS remit implies that topical African issues, like the Economic Partnership Agreement (EPA) negotiations, will be handled by the department only indirectly. This may further impede fulfilment of the service’s mandate and undermine the aim of creating a stronger, more unified and coherent EU external voice. Since the last EU-Africa Summit in Tripoli in November 2010 the ability of the JAES to ‘frame’ EU-Africa relations as envisaged in 2007 has remained uncertain. A tremendous shift of perspectives is needed in Africa and in Europe to ensure progress in policy alignment. But this has not yet taken place. The Europe-Africa Research Policy Network (EARN) similarly noted that the JAES’ great potential has yet to be fulfilled. EARN did, however, provide analyses and recommendations on how this might be achieved. The new institutional set-up, including the EEAS Africa entity, thus offers opportunities for combining EU external policies and financial instruments to support issues of interest to Africa and Europe and complementary actions. However, there are also risks. Available resources could be instrumentalised for other EU foreign policy priorities. Or, the split of the different steps of the programming cycle between the EEAS and the newly restyled DG DEVCO could have a less positive effect than hoped. Regarding the JAES, it is important to remember the unprecedented nature of this exercise in inter-continental relations. After all, the JAES is a framework designed to articulate and ‘manage’ the interests of 82 different official actors to achieve mutually beneficial and tangible outcomes. In its technical execution so far, the JAES has already brought about regular institutional exchanges, meetings of state and non-state actors beyond national and continental borders, and detailed action plans. It will now be important to see what role the nine appointees and their staff will give the idea of a comprehensive European Africa policy and smooth implementation among institutions and member states. Without exception, these appointees are academically and professionally proficient in African-European concerns. A major common motivation for the EEAS and the JAES is to bridge the gap between the European Union’s rhetoric on values and aspirations and the de facto implications of its policy. With its combined experience, the EAAS Africa might agree that the current organisational and political situation offers a clear window of opportunity in the coming months and years.